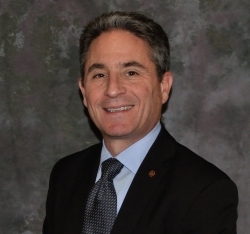 Carmel-by-the-Sea, CA, April 11, 2019 --(PR.com)-- Andrew D. Mendelson, FAIA, senior vice president, chief risk management officer at Berkley Design Professional, a division of Berkley Alliance Managers, a Berkley Company, will address Building Information Modeling (BIM) issues and best practices at the American Council of Engineering Companies (ACEC) 2019 Annual Convention & Legislative Summit to be held May 5 – 8, at the Marriott Wardman Park in Washington, D.C.
During the session titled “Managing the Legal and Practice Issues of BIM,” Mendelson will explore BIM benefits and methodologies while underscoring its effect on the design and project delivery process. This includes managing the evolving risks of this powerful design technology which can reduce the exposure to errors and omissions allegations, delays and even costly litigation. The presentation is scheduled for Monday, May 6, at 9:45 a.m. Eastern time. Andrew D. Mendelson, FAIA, is an acknowledged design industry leader in the area of risk management and contracts. He has nearly four decades of experience as a licensed architect and firm principal. Since 2013, Mendelson has directed Berkley Design Professional's efforts to provide design professionals with leading-edge, risk and practice management resources, tools and training. Berkley Design Professional specializes in professional liability products and services for the design professional industry. Berkley Design Professional is a division of Berkley Alliance Managers which is a member company of Berkley, whose rated insurance company members are assigned A+ (Superior) ratings by A.M. Best Company and A+ (Strong) ratings by S&P. For more information please visit berkleydp.com.